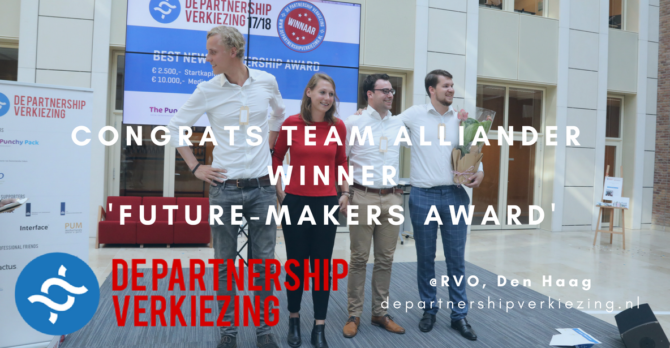 The ‘Future-Makers Award ’17-’18’ goes to team Alliander ‘Power2Aid‘! We congratulate Alliander on creating an astonishing sustainable business-case. Power2Aid wants to empower local communities in post-disaster areas to build a sustainable future together with aid organisations and Dutch energy companies. Watch their full pitch here.